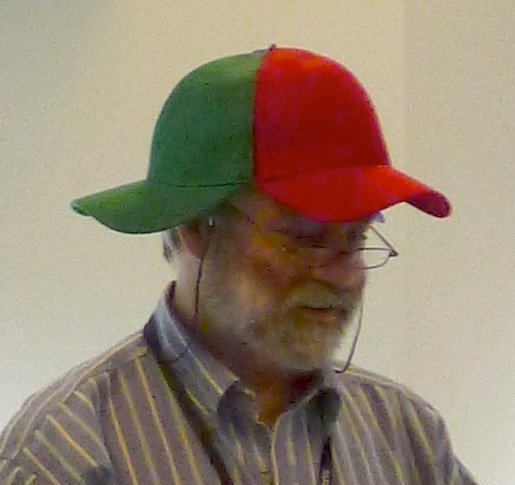 I’ve achieved some notoriety with my Test Driven Development hat. Not so much when I wear it , but certainly when Uncle Bob does. So much so that he has received queries about acquiring or making them. I never planned on making a profit from these hats. I only built one, to use as a prop when I’m describing Test Driven Development. Apparently there is more demand than I anticipated. 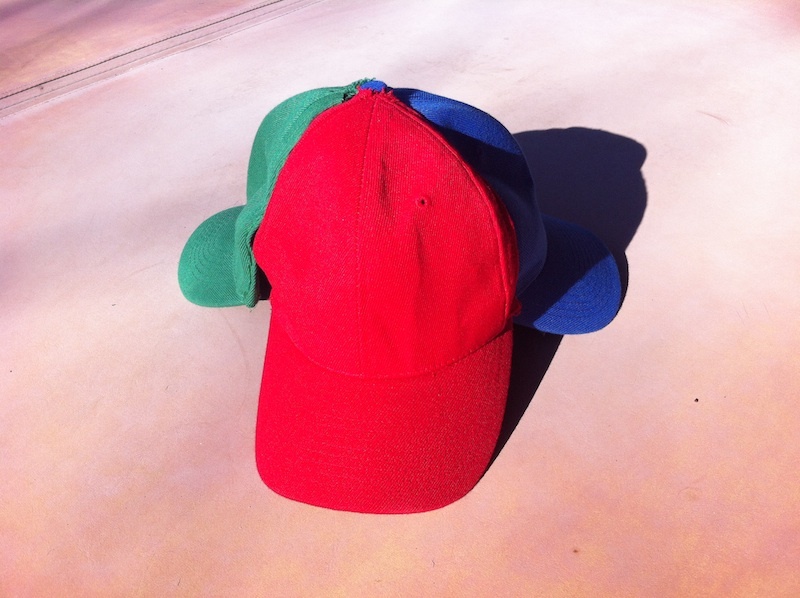 Since I don’t want to go into the hat business, I’ve decided to license the design under the Attribution-ShareAlike 3.0 Unported (CC BY-SA 3.0) license. Basically that means that you acknowledge the design came from me, and that you don’t assert any proprietary rights over adaptations to the design. Other than that, you’re welcome to make them, give them away, put advertising on them, sell them, …. Have at it! 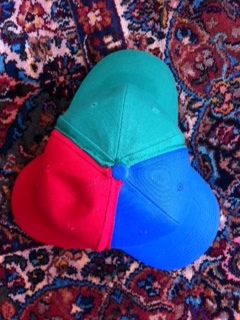 I got the red, green, and blue baseball caps on Amazon. You’ll find more detailed views below. 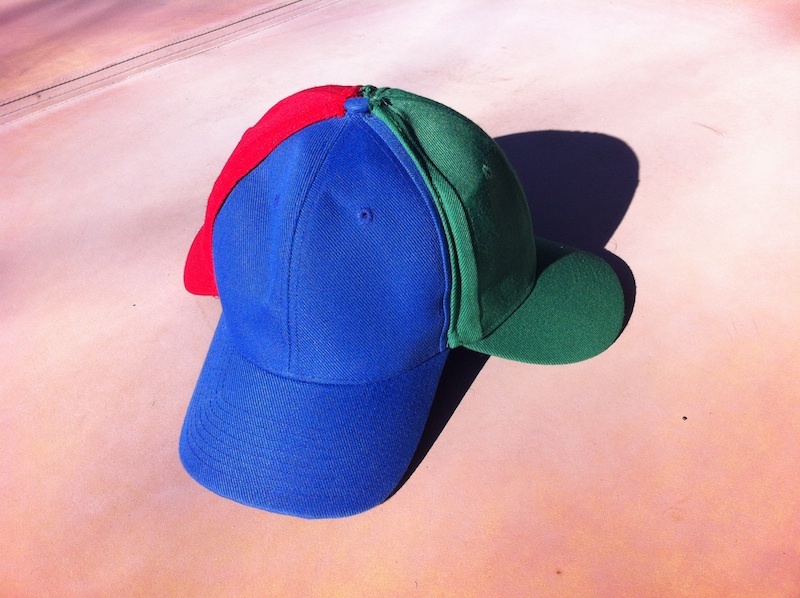 I originally thought to unstitch the hats and restitch the front pieces together. 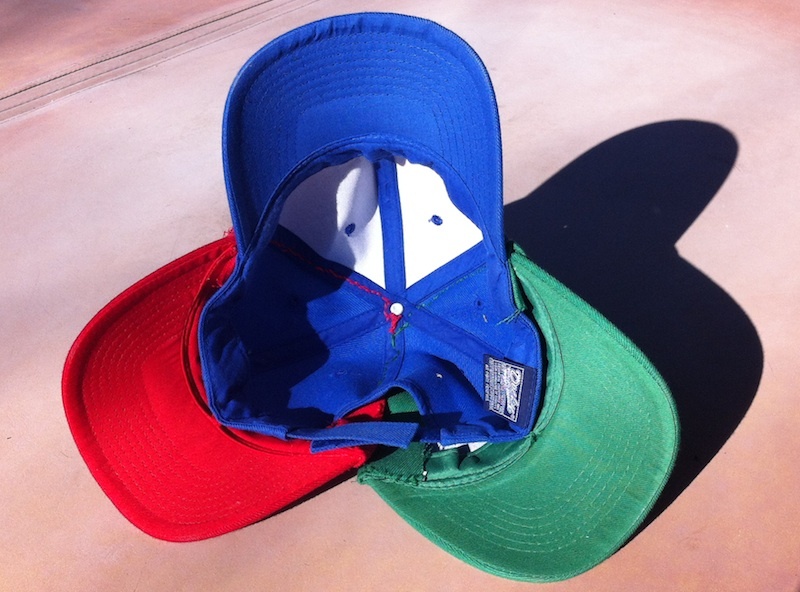 That appeared to be too difficult, so I cut the red and green ones apart and stitched the front pieces onto the blue one. This left the size adjustment still working. This entry was posted on Wednesday, December 26th, 2012 at 5:00 PM and filed under Uncategorized. OK, George… that’s just weird. Would you mind expanding on how this fits into your explanation of TDD? I’m guessing I’d use it when talking about the common practice of using a build status light to remind everyone of the status of the build, but I haven’t come up with patter that fits a hat seamlessly into the story. It’s about being mindful of the current state as you’re doing TDD, and only doing one thing at a time. If you’re in the green state, you can write a test and go to red. If you’re in a red state, you should only write code to return to green (or back out the test). When you refactor (starting only in the green state), you shouldn’t be doing anything else, either new tests or new functionality. George, this is a wonderful and very pedagogical innovation, that marks you as a master teacher in my eyes. Love it. Brilliant!!! Amped Signal and Focus to achieve Fluency! 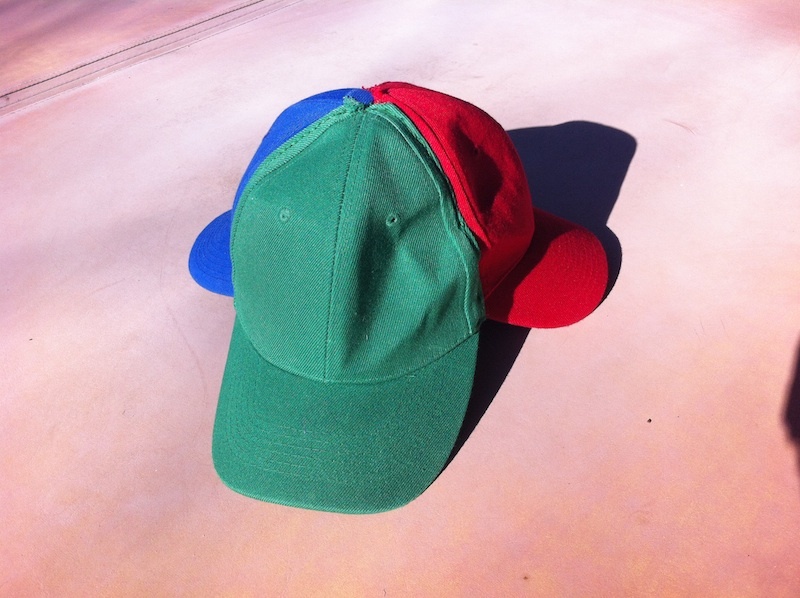 I need this cap. From where can I get it? Abdul, the easiest way is to make your own. Or you could find someone to sew it for you. This is genius! Thanks for opensourcing this! Sou novato no TDD e estou a princípio satisfeito nessa nova ideia de criar cenário de testes. Fortemente recomendado.